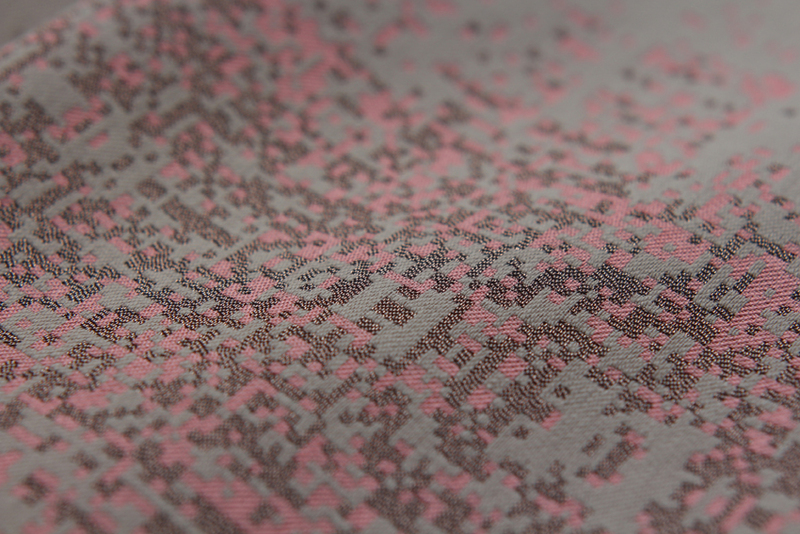 A romantic fabric woven from the patterns of classical composer Tchaikovsky, from the ballet The Sleeping Beauty. Act III, The wedding Scene. Pas De Deux. 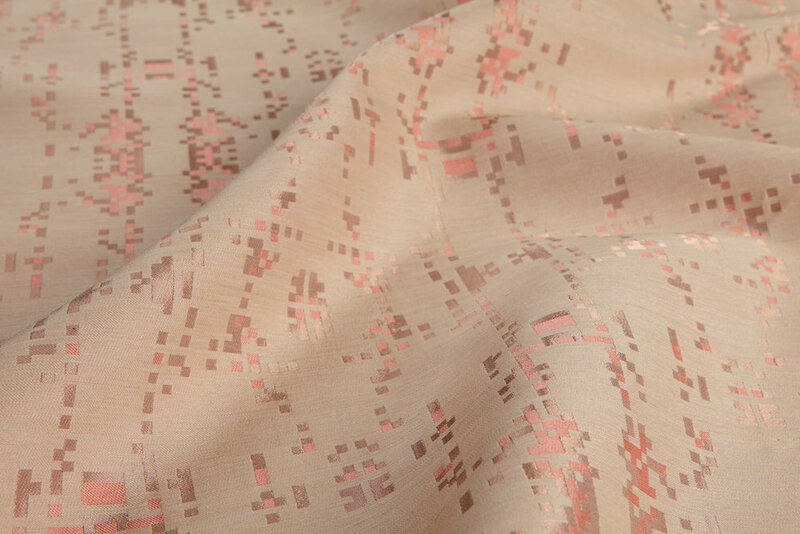 A romantic fabric created by translating the Russian composer, Tchaikovsky's composed works from The Royal Ballet's favourite ballet 'The Sleeping Beauty'. Theart piece is based on the beautiful classical music from Act III, The Wedding Scene, where Prince Florimund and Princess Aurora dance their matrimonial 'Pas de Deux'. Created by Nadia-Anne Rickets for a ballet lovers, Tchaikovsky lovers or simply to be part of a playful interior. 70cm x 175cm. Woven silk, cotton and rose gold metallic yarn.